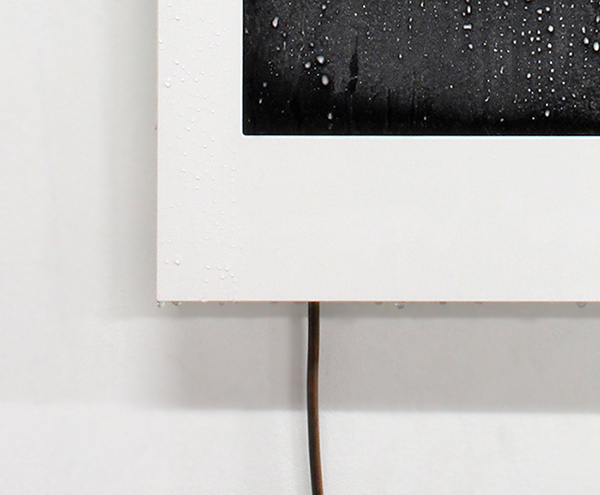 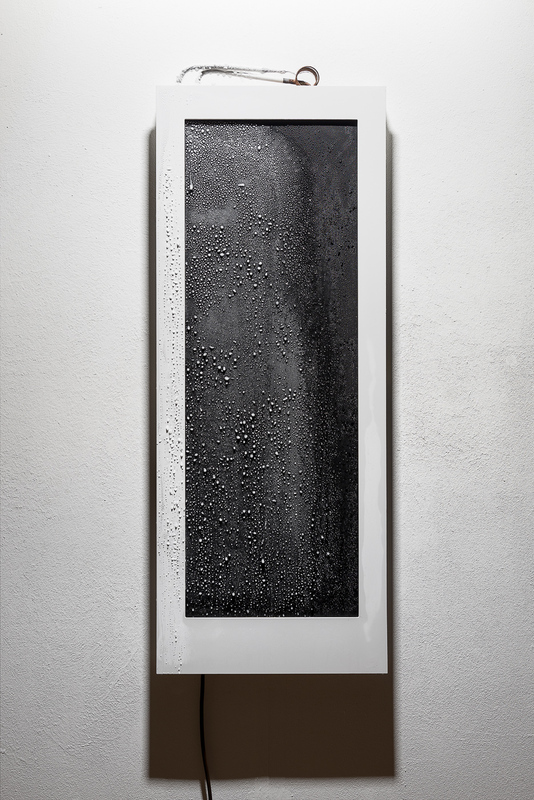 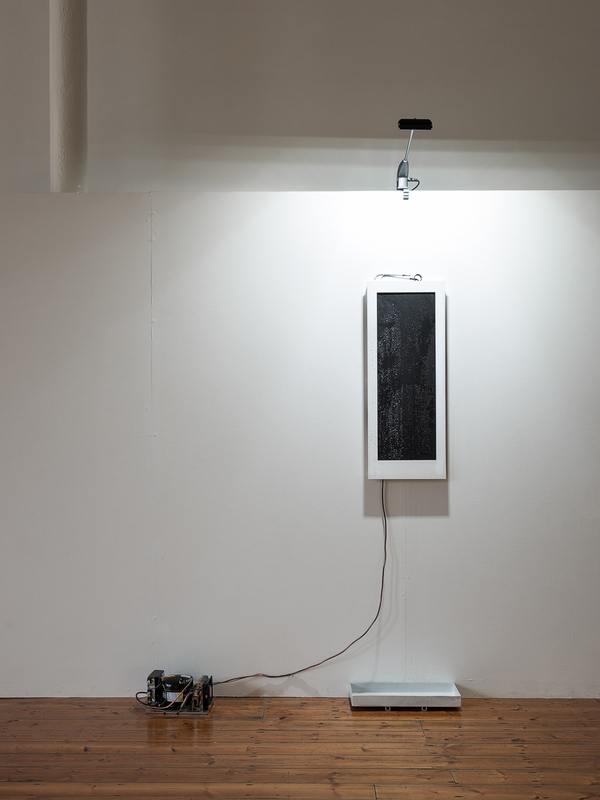 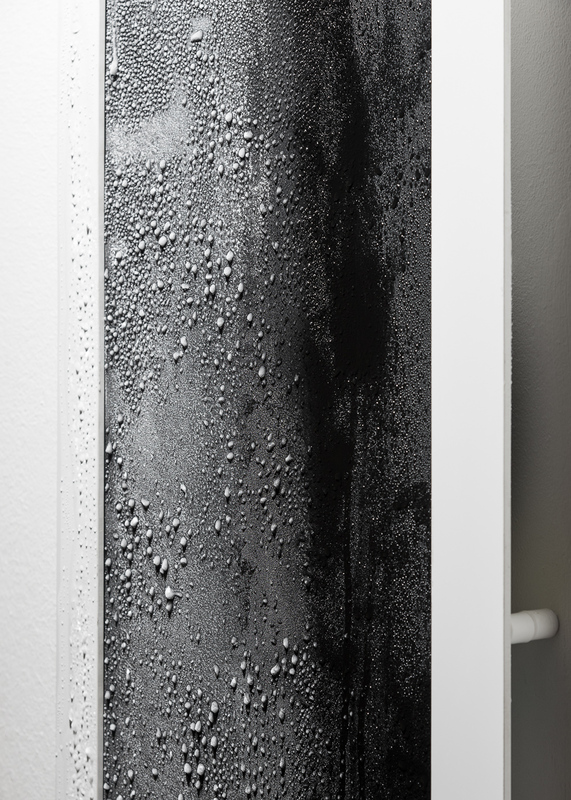 This piece at the first glance might look like a black monochrome painting but is in fact a manipulated and reinvented refrigeration system. The ‘painting’ will grow an intricate and unpredictable pattern of frost while the refrigeration system is active. 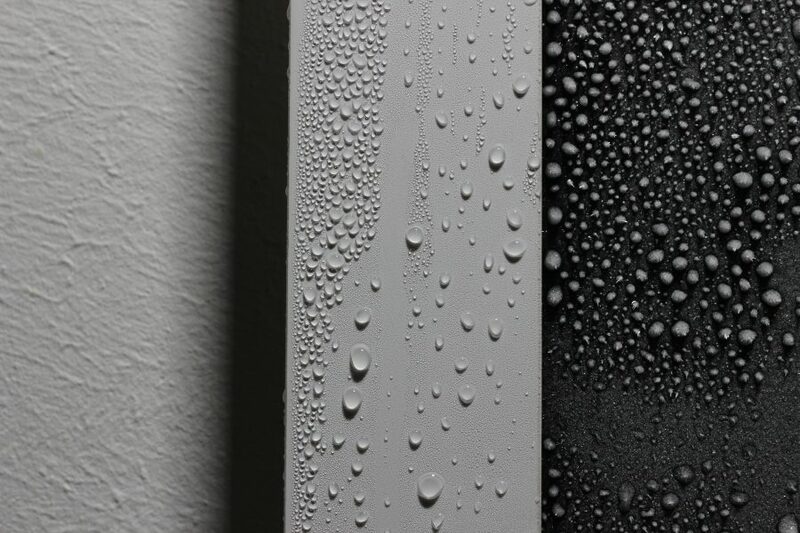 Placed in a particular environment the refrigeration system becomes intrinsically connected to its surrounding conditions. 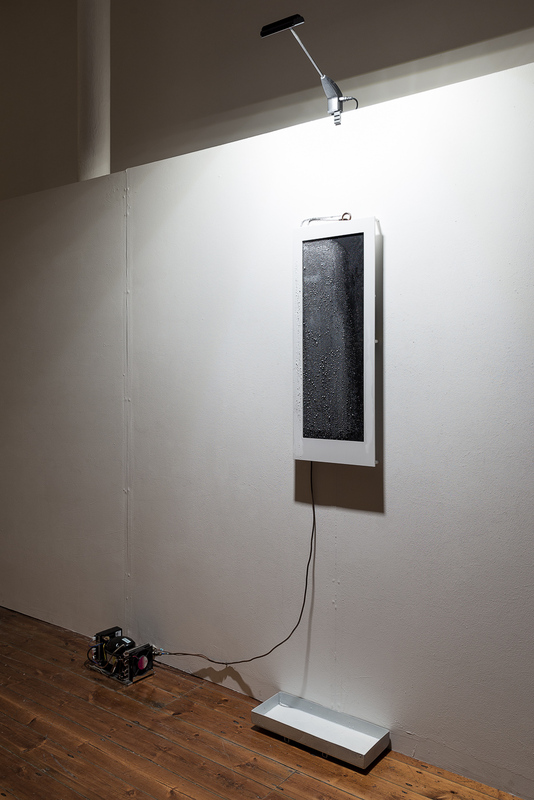 It is sensitive and dependent on the humidity, ambient temperature, body heat of the viewers and other conditions in the Gallery. 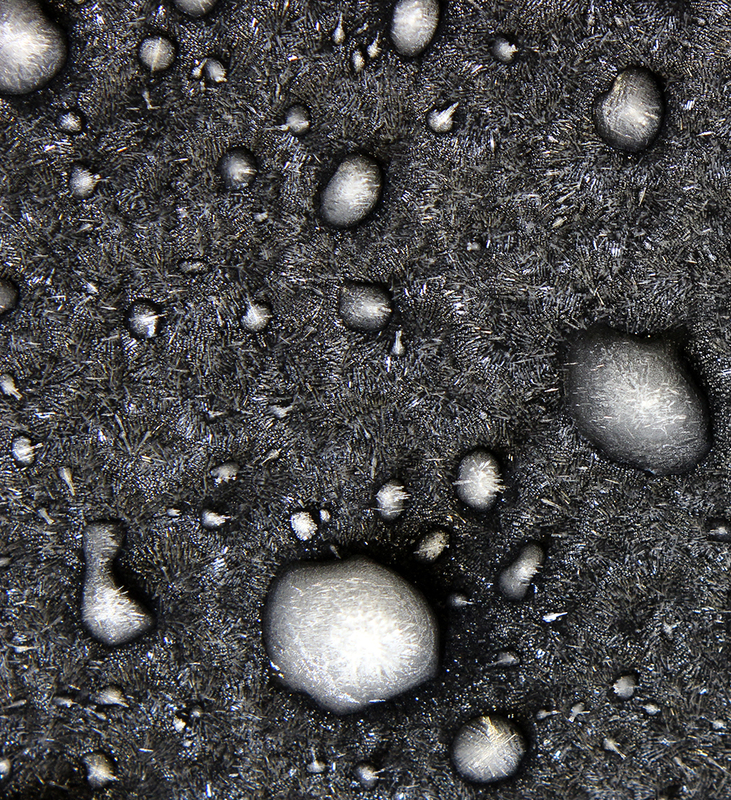 As result, the frost on the surface of the plate can be seen as the invisible essence of the gallery, condensed, solidified and presented to the audience over the short period of time.